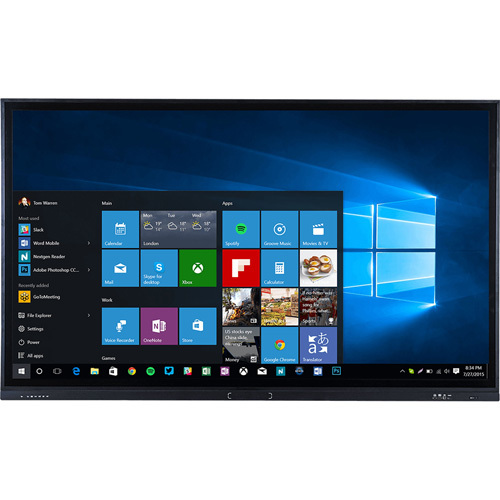 Built with ease-of-use and familiarity in mind, the F10 series blends a Microsoft Windows 10 operating system with the superior touch of Avocor Intelligent Touch using InGlass technology, delivering a true tablet like experience that is not limited or restricted. With an extremely precise, smooth and accurate writing experience that is as natural as putting pen to paper, the solution supports up to 10 x simultaneous touch points, facilitating group collaboration and communication and is 5 x more responsive than other technologies available on the market. The 4K resolution of the display creates incredible visuals and brings content to life, while the anti-glare glass prevents tired eyes and is resistant to light interference.